We are a firm of more than 300 people, including 21 partners. We have a multi-jurisdictional network throughout the region. 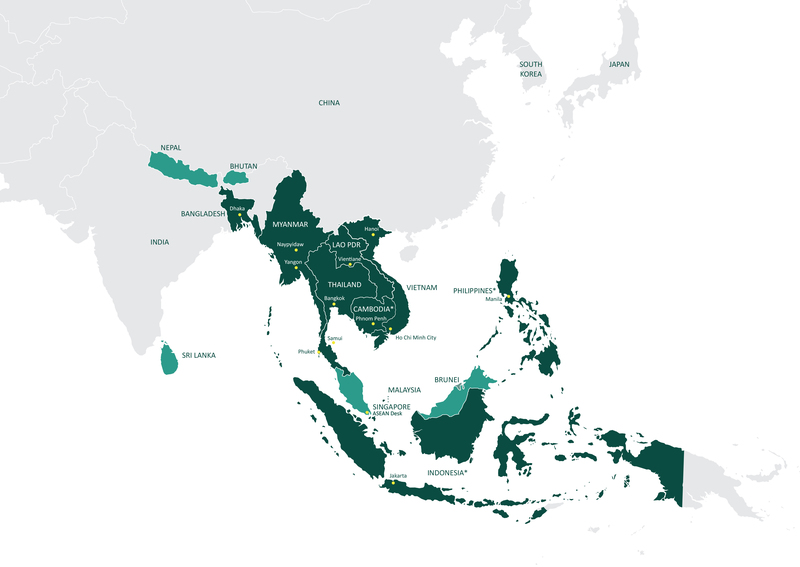 As a leading international law firm serving the Southeast Asian region, DFDL has also developed ‘desks’ to serve those clients from Singapore, China and India and which operate or have business in the DFDL Southeast Asian countries. From DFDL’s diverse offices and desks, its experts assist clients on local and cross-border transactions with expertise and a dedicated focus on Southeast Asia. Within their fast growing network of offices across Asia, the team of more than 300 foreign and local advisers and support staff work closely together to provide unique value propositions and innovative solutions to clients.